Sri Nisargadatta Maharaj (April 17, 1897 – September 8, 1981) was an Indian Spiritual Teacher and philosopher of Advaita. His book, I Am That – summarises his Advaita philosophy through the many talks with devotees. Sri Nisargadatta Maharaj was born in March 1897. From birth, he was called Maruti, in honour of Hanuman. After his father died, in 1915, Maruti went to Bombay where he worked as a clerk and later selling hand-rolled cigarettes. Through this small business, he became financially prosperous. Through a friend, in 1933 he was brought to the Guru Siddharameshwar Maharaj. Maruti was moved by Sri Siddharameshwar and made his first steps to practise spirituality. He was given a mantra in the Navnath tradition, and instructions on how to meditate. After his Guru, Sri Siddharameshwar passed away in 1936, Maruti felt a strong sense of renunciation and lost interest in his worldly pursuits. He left both his business and family and went on a pilgrimage to the Himalayas. The spiritual idea, that we are not the body and ego, but the all-pervading consciousness. In 1951, he began taking disciples, and he would regularly give discourse in his house to disciples, where he would answer their questions. These talks are summarised in the book “I Am That”. It has become a classic of Advaita philosophy, in the tradition of ancient traditions in the Upanishads, and contemporary teachers like Ramana Maharshi. Sri Nisargadatta explained concepts in the simplest way, without any complex religious or spiritual terms. Desire and fear come from seeing the World as separate from my-Self. There is nothing to practice. To know yourself, be yourself. To be yourself, stop imagining yourself to be this or that. Just be. Let your true nature emerge. Don’t disturb your mind with seeking. 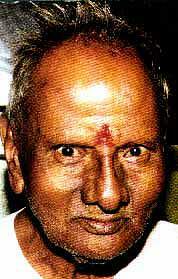 Nisargadatta Maharaj belongs to the Inchegiri Sampradaya, a lineage of Guru’s going back to the Naiveness. Spiritual figures – Famous saints, mystics and religious figures. Including Jesus Christ, The Buddha, Lord Krishna, St Teresa of Avila.